It's finally cooling off here in Sunny San Diego, large contrast from yesterday's high 70 degrees! I have been anxious to wear my fall clothes and most importantly my two-toned riding boots!! I love these boots because aside from being two-toned, they are super comfy. I coincidentally received this cute Tory Burch purse as a gift which went along perfectly! ¡Finalmente se esta enfriando San Diego, gran diferencia a los 70 grados de ayer! He estado ansiosa de ponerme mi ropa de otoño y más importante mis botas de montar de dos tonos! Me encantan estas botas porque aparte de ser de dos tonos son muy cómodos. Y de casualidad me regalaron este lindo bolso Tory Burch que le van a las botas perfectamente! No way! Those exact boots are on my Xmas list!! Love the outfit! By the way, I emailed you. You're very beautiful. :) I really like this outfit. the boots are so cute, they go perfect with your outfit! Me ha encantado el look!! perfect!! Lovvvve your boots, . They remind me of Kourtney kardashian's boots that she has. que guapa estas con este look!y me encantan tus botas!! Gorgeous!!! 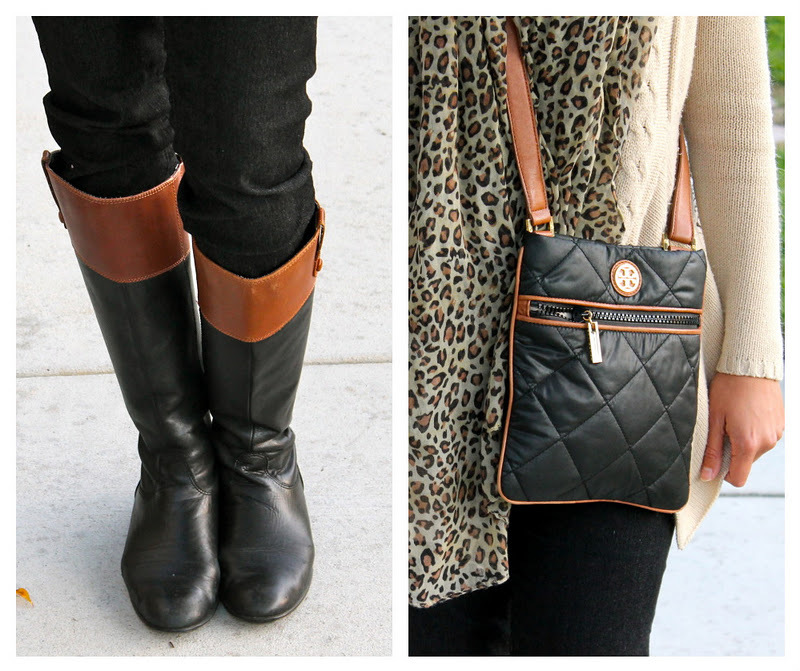 Love your two tone boots, perfect match with your bag!!! i love the color combo, that boots is so fab! Estan bien lindas tus botas. that indeed is a beautiful fall outfit :) I like your choice of colours very much and also it's so cool how those boots go perfectly with the purse! I so want those boots. They are amazing. You look beautiful. I love your outfit and that scarf is a real statement maker. So cute my friend! 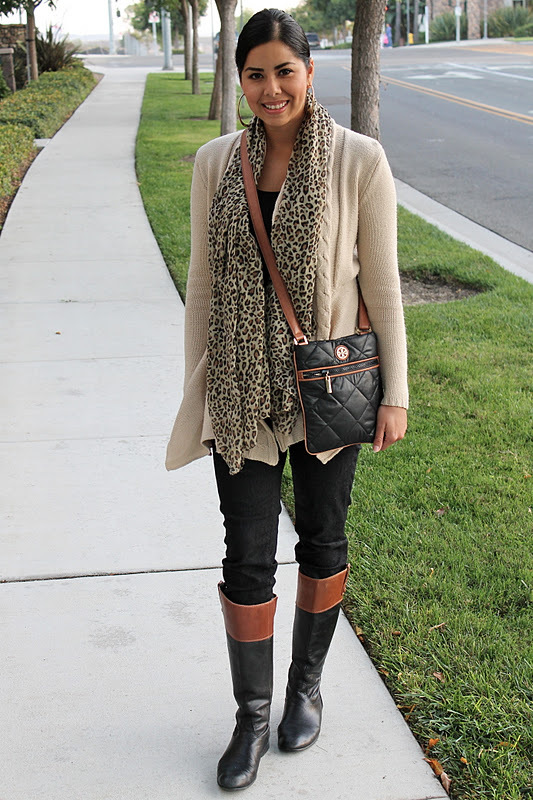 Comfy and cozy, you know how much I love leopard, loved the boots, very Kourtney Kardashian! 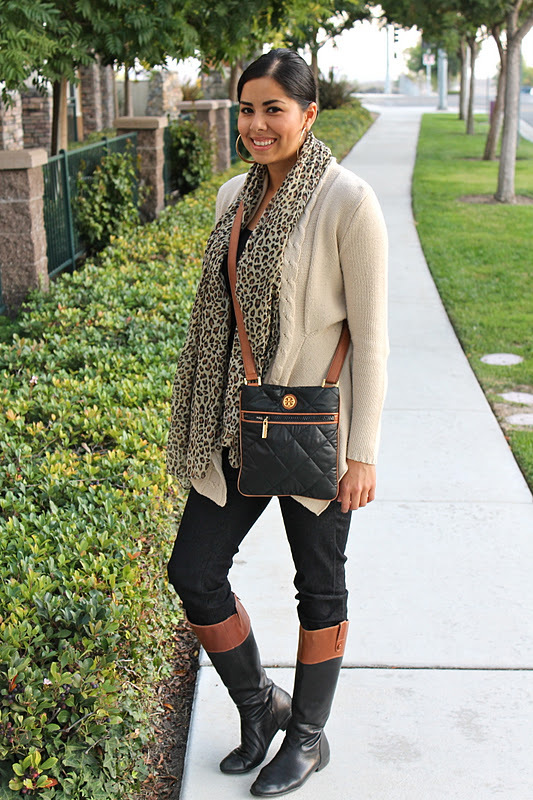 Fabulous boots, and the purse goes so well with it! Love this look. I love that early winter feel in the air.